Pop singer Lady Gaga visited Iceland last Tuesday October 9th to accept The LENNONONO Grant For Peace, a grant and an award sponsored by Yoko Ono for individuals promoting peace and equality. The Lennon Grand for peace is handed out every other year on the birthday of Yokos former husband and Beatle John Lennon. Upon receiving the award Lady gaga announced that the grant would be donated to Sir. Elton John's AIDS foundation, focusing on orphans and youth in America born with HIV or AIDS. The award was presented in the newly constructed Harpa concert hall in Reykjavik where many of Iceland's public figures were present. 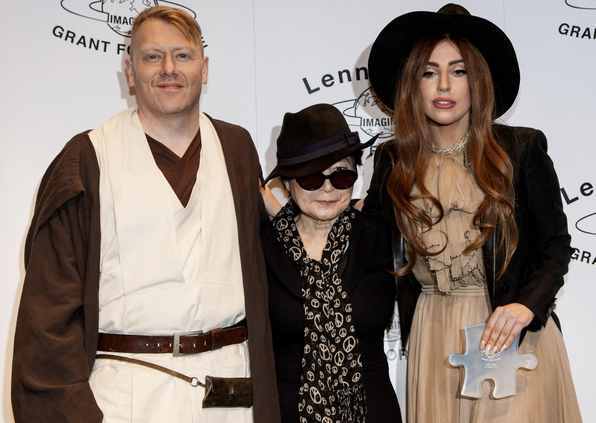 Lady Gaga was especially impressed by Reykjavik mayor, comedian and human rights activist Jón Gnarr which showed up for the ceremony wearing an Obi Wan Kanobi costume to everyone's amusement. 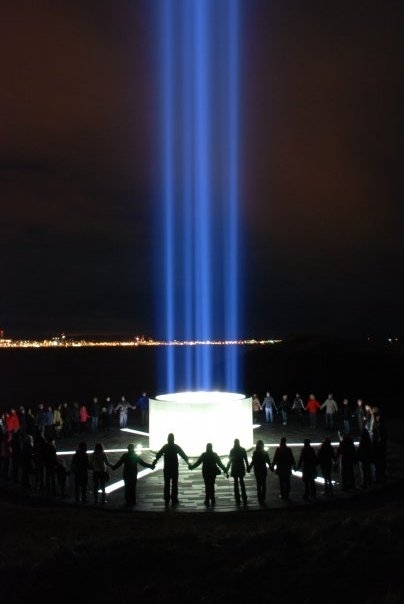 In the evening Yoko Ono switched on the lights of the IMAGINE PEACE TOWER in memory of her late husband John Lennon and as a symbol of world peace. Close to 1800 persons gathered in the small island Viðey and 1800 to see the tower light up the night sky in Reykjavik.